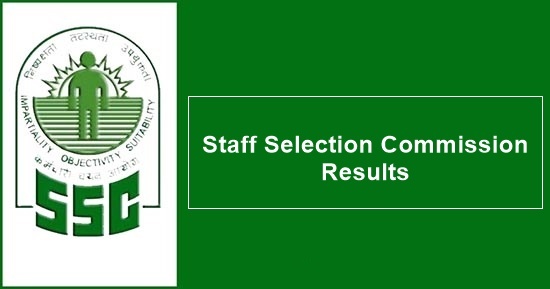 SSC CGL Tier 1 Result 2017: The Staff Selection Commission conducted the Combined Graduate Level Examination (Tier-I)-2017 in Computer Based Mode. The Examinations were conducted from 05th to 24th August 2017 at various Centres all over the country. 15,43,418 candidates appeared in the said Examination. Students can check ssc cgl tier 1 result along with selected candidates list region wise from below with hall ticket number. Pursuant to existing Court Orders, the results of 10 candidates with Roll Numbers – 2201026842, 2201045468, 2201062554, 2201098871, 2201105924, 2201272135, 2201293503, 2201325697, 2402006180, 2402019194 have not been declared. Candidates belonging to reserved categories for whom certain percentage of vacancies are reserved, as per the policy of the Government must contact the respective Regional Offices of the Commission immediately if they do not belong to the category shown against their Roll numbers. The details of the candidates in List-I, List-II and List-III have been uploaded on the website of the Commission. Revised Marks of the candidates in Tier-I will be uploaded shortly on the Commission’s website http://ssc.nic.in.